A wedding reception. A large business conference. The freshman science lecture hall. The Karaoke fundraiser you’re putting on at the local pub. These are just some of the venues that demand a capable PA system that can cover a large area with powerful, articulate sound, but is easy to set up and flexible enough to handle a wide variety of inputs and auxiliary equipment. Looks like you need Total PA Pro. 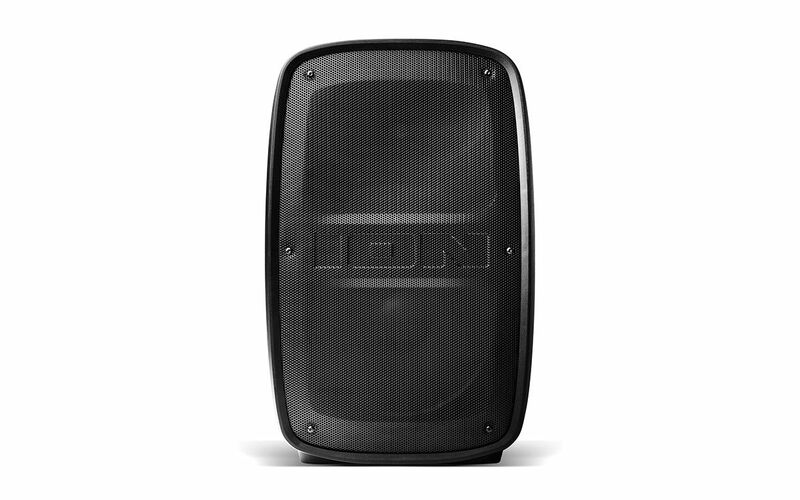 Here is everything you need in an all-in-one PA system: A high-powered bi-amplified, equalized sound system driving a 15-inch woofer and 1-inch tweeter covers even the largest spaces with clear, vibrant sound. It has a multi-channel mixer with Master volume control and XLR inputs to maximize sound quality. You can wirelessly stream music from any Bluetooth® device, use the built-in music player to read music files using the USB port or SD card slot or take advantage of the on-board FM radio with 30 presets. The included microphone with echo effect puts you in charge of the action. It even includes a tripod stand to elevate Total PA to the right height and its built-in wheels make transport a snap.